Come Embrace your Abundance as we kick off the Fall season by celebrating this time of prosperity. Find 8 Free lectures and hands on activities focusing on abundance and celebrating the Fall Solstice, including creating blessing bags, yoga station and abundance meditations. Get a head start on the Holiday season. Find unique gifts and services for everyone on your shopping list and treat yourself while you are at it. Get yourself ready for this busy time of year with a renewed focus on your Mind - Body - Spirit journey. 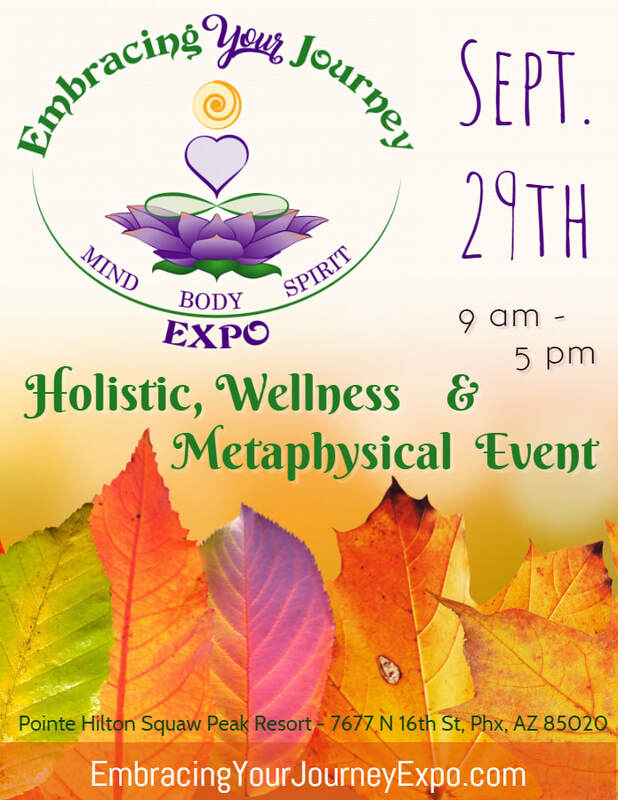 Grab the family, bring a friend or enjoy some me time at the Valley's leading Holistic, Wellness and Metaphysical Event. Located in the Hohokam Ballroom at the Pointe Hilton Squaw Peak Resort 7677 N 16th St, Phoenix AZ. This is the perfect place to gain insight, learn about new ways to improve your life, find resources to help you grow spiritually & emotionally, discover new and exciting products and services geared toward a healthy Mind - Body - Spirit and inspiration / motivation to continue on your journey. We are passionate about providing you a trusted resource to find word renowned, skilled practitioners, new and innovative services as well as unique and original products. These family friendly events are open to everyone. Whether you are new to this journey of Mind-Body-Spirit growth and discovery, are a long term traveler or just looking to see what is out there to be discovered we are here to help.